Living in Central America has its challenges. One being the lack of availability on many restoration supplies I use. I order lots from the US but much can't be shipped with prime or at all. Things I took for granted in the US are hard to get here. Isopropyl alcohol is only bought at one place, with ID and you must be a legal resident. Most paint only comes in gloss or flat. Here you make your own satin. First world problems in a Third world country. I cant find naptha here either. I'm in the middle of a playfield restore and it's really good for checking color matches to get that "after clear coat look". Will mineral spirits work instead? What's the best Naptha substitute? That's will also be tough to find. Zippo fluid works also but I've yet to find any. Denatured alcohol, ISO 99, aguarras(turpentine), thinner(what ever that is), mineral spirits and acetone are the only petroleum based chemicals I've found here. Can I make Naptha? What's in in? A mixture of things I can get or is it some special distilling process? Charcoal lighter fluid? I can get that........ My googlefu says no. Charcoal lighter fluid is a volatile fluid used to accelerate the ignition of charcoal in a barbecue grill. It can either be petroleum based (e.g., mineral spirits) or alcohol based (usually methanol or ethanol). I dont do a bunch of playfield work but I used to use wax and grease remover on a car when doing bodywork to give the primer a shine in the sunlight to help see lowspots, it stays wet looking for about a minute before it starts to air dry, plus it keeps the wax of so paint or clear will stick, just wipe off with a dry rag or paper towel. Ill keep looking for an alternative but I'll be selling Coleman oil during the apocalypse. I'll look into this and see what's in them. Haha, I was sorta thinking the same thing... I guess if you're into distilling spirits and things, it'd be easier to figure out. Denatured Alcohol is good stuff though. I've always used that before I knew about Naphtha. I thought denatured alcohol was to strong. Maybe I'm wrong though. I'll have to try it. I honestly completely missed that part... When skimming through, I just assumed it was for playfield prepping. Apologies. Alcohol probably wouldn't do what you want it to do in that scenario. Will mineral spirits work instead? Yes. 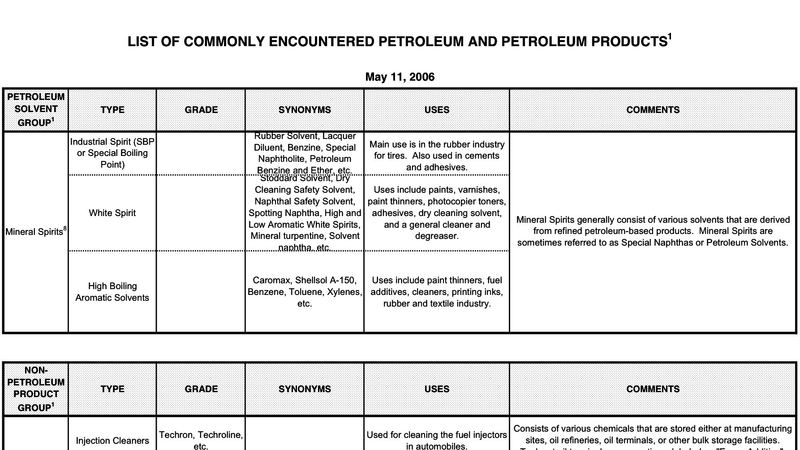 Mineral spirits is the same stuff as naptha, just a little less refined/pure. I thought mineral spirits has a little light oil in it. I was concerned with how that would react when I went to clear. Isopropyl (isopropanol) does not work. Just tried it. Denatured alcohol (ethyl) seems to work well if used briefly and sparingly(20 sec). If soaked or rubbed to long it seems to soften the clears/paints. Looks to be basically the same as Naptha. It's a white spirit. Been running into the same issue where I live. A lot of commonly used products that are mentioned on the forum just go by a different name but are the same thing. I've been searching high and low for the Dutch alternative of Naptha. Turns out it's the same thing as "wasbenzine", which you can even buy at the local grocery store. Perhaps its a good idea to make a thread to summarize these alternative product names for commonly used products, and where you can get them, per country. You don't want people to ruin their playfield with some heavy solvent because they thought it was the same thing as naptha. You said you can get turpentine - that is close enough to naptha for your purposes. Spray painters often use it to prep car bodywork before spraying. Ok, I'll try it. I was not sure about turpentine. 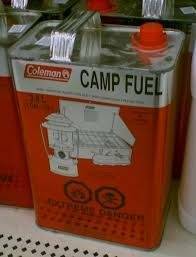 When I was a kid in the 50's, camp fuel was called white gas. By the way I feel your pain. In China I can pretty much get any chemicals we need in the factory BUT all names are in Chinese and it is often very difficult to translate exactly which one you want from English. It has caused a few problems until we were able to locate the "Chinese" versions and suppliers of what we use. This is more a gut feeling from experience in other work with these, and please others share if Im wrong. If it isnt Naptha, and its playfield prep, and any of the others are used...mineral spirits, turpentine, coleman oil, wouldnt one want to follow that with a denatured alcohol cleanup? I find oil residue from all the others, depending on brand? I thought you could use Naptha for a final wipe. Not 100% sure though. A final wipe with isopropyl is probably best. I think it dries the cleanest. Denatured is ethyl alcohol with additives to make it toxic. Mostly to avoid a sin tax and lower the price. Yes, Naptha for the final...a good quality leaves no residue. My apologies, if I spoke wrong. I meant if you use the others, and dont have Naptha, the others could leave a residue. That residue may be removed by Alcohol? Im usually working with old wood, but through the years, alot has depended on the quality of the product. Are you planning to clear coat? I would guess the coating manufacturer would have their recommendations. The title of the game, and what you wish to accomplish, would likely bring in smarter people than me! I worked in an oil refinery for about 30 years and know a little about the subject. The first process in a refinery is crude oil distillation. The crude is separated into different streams based on boiling point. Naphtha is the stream that is produced that has a boiling range between 100 deg F. and 360 deg F. In most refineries all of this goes into gasoline. There is a reforming step specifically to increase octane. So gasoline is a naphtha product and could be used in place of naphtha with precautions. First, with great care as we all know gasoline is explosively flammable. Thus, it must be used with good ventilation and NO flame sources. Next, in the U. S., in many states at least about 10% ethanol is blended into gasoline. A sticker by the pump will indicate that. Ethanol is an alcohol, fairly similar to iso-propanol (rubbing alcohol). So if you want no alcohol you may want to avoid that. For awhile in the U.S. MTBE (an ether) was added to improve octane but it had environmental issues and is not used much anymore. Gasoline also has small amounts (usually less than 1% of additives such as detergents and anti-oxidents for engine performance. So, in short, gasoline may be the best naphtha substitute. 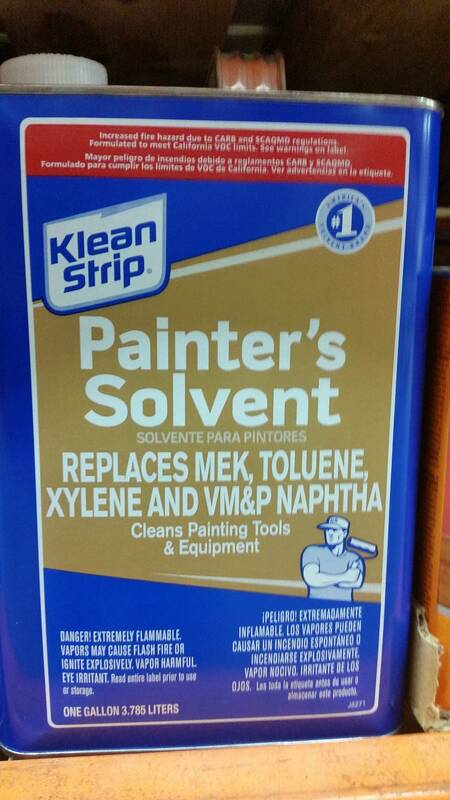 I know this thread is a bit old, but when I asked for Naphtha at the local home depot today, they pointed me to this. Has anyone tried it as a substitute? Is it safe on playfield art? Not sure about that stuff but you can buy Naptha in CA via Amazon. I think that's just mineral spirits. I think it's safe for most applications. I'm not sure how it works when clear coating. It feels oily to me and I've never got a straight answer on how it reacts with clear. You just said "playfield art" so I'm not sure if your cleaning artwork or laying down new paint and clearing.